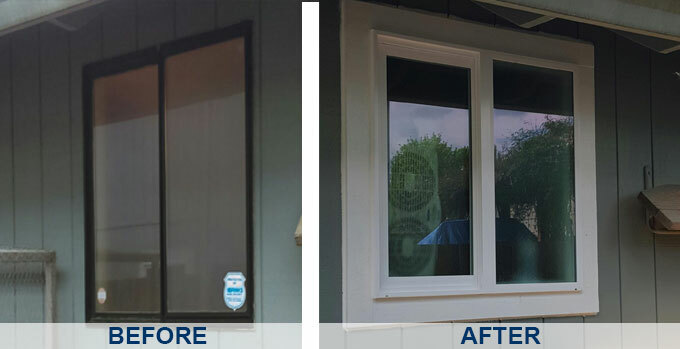 Before and after photos are a great way to see how big of an impact vinyl replacement windows can make on your home. Not only do they offer less visible benefits, such as increased energy efficiency, protection from UV rays and noise reduction, but you can choose from vinyl window styles and custom options to perfectly match the look of your home. If you are thinking about an investment in replacing home windows, take a look at our photo gallery to see what a difference they can make!